3-Alfred James Goss was born on 20 Sep 1895 in Longford, Tasmania and died on 15 Nov 1970 in Albert Park, Melbourne at age 75. Alfred married Elsie Jane Medcraft, daughter of William Walter Medcraft and Priscilla Matilda Costello, on 16 Mar 1921 in Barrington, Tasmania. Elsie was born on 20 Sep 1905 in Lower Barrington, Tasmania and died on 10 Oct 1978 in Albert Park, Melbourne at age 73. Alfred James Goss, notwithstanding statements to the contrary, informed the army that he was born at Liffey near Westbury. He returned from the war with a pension, and married Elsie Medcraft of Latrobe, later moving to Victoria. He died and was buried at Port Melbourne. Alfred was known to most folk as Plonk Goss, the nickname referred not to booze, but frogs. There is no evidence to suggest that he was ever saluted as Plonk the Presbyterian, although army records describe him as belonging to that religious persuasion. Maybe he meant Protestant. His brothers all said Church of England. Brothers: 202 Pte Henry Herbert GOSS, 40th Bn, returned to Australia, 8 January 1919; 7995 Pte Arthur Ernest GOSS, 12th Bn, returned to Australia, 22 September 1919; 3967 Pte Lambert Gordon GOSS, 1st Pioneer Bn, returned to Australia, 4 May 1917; 3966 Lance Corporal Frank GOSS, 52nd Bn, returned to Australia, 26 September 1917; 6518 Pte George GOSS, 12th Bn, effective abroad (still overseas). 4-Matilda Elizabeth Goss was born on 25 Aug 1921 in Barrington, Tasmania. Matilda married Bonar Lloyd Haywood. Bonar was born on 9 Jun 1919 and died on 4 Sep 1972 at age 53. They had one son: Richard William. 5-Richard William Haywood was born on 21 Dec 1941. Richard married Barbara Elles. Barbara was born in 1942. They had one son: Wayne Raymond. 6-Wayne Raymond Haywood was born on 26 Jan 1968. Wayne married Tanee Jean. Tanee was born on 25 Jan 1969. 4-Oscar Alfred Goss was born on 6 Nov 1922 in Barrington, Tasmania and died on 22 Oct 1976 in Melbourne, Victoria at age 53. Oscar married Eileen Richards. Eileen was born on 6 Dec 1924. They had five children: William John, Jeffrey Raymond, Suzanne Jane, Gregory Alfred and Michael Anthony. 5-William John Goss was born on 20 Mar 1947. William married Adele Zelley. Adele was born on 19 Aug 1946. They had four children: Dean, David, Vanessa and Mathew. 6-Dean Goss was born on 4 Mar 1969. 6-David Goss was born on 27 Jul 1971. 6-Vanessa Goss was born on 25 Nov 1975. 6-Mathew Goss was born on 27 Apr 1978. 5-Jeffrey Raymond Goss was born on 31 Oct 1952. 5-Suzanne Jane Goss was born on 5 Sep 1954. Suzanne married Brian Commins. Brian was born on 22 Sep 1955. They had two children: Kristie Ann and Paul Brian. 6-Kristie Ann Commins was born on 28 Dec 1976. 6-Paul Brian Commins was born on 4 Jul 1978. 5-Gregory Alfred Goss was born on 8 Jul 1957. 5-Michael Anthony Goss was born on 5 Jul 1960. 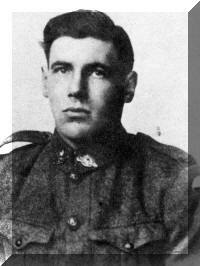 4-Raymond John Goss was born on 19 Oct 1924. 4-June Margaret Goss was born on 27 Oct 1934 in Barrington, Tasmania. June married her first cousin Joseph Goss, son of Henry Herbert Goss and Hazel Daphne Crack, on 28 Nov 1954 in Melbourne, Victoria. Joseph was born on 19 Apr 1934. They had six children: Sharon Dianne, Jo-Anne, Daniel Leonard, Darren James, Warren Joseph and Dale Kenneth.